Overcharged Interchange Fees: Does Visa/Mastercard Owe YOU Money? Approximately 70% of all United States’ consumer and business transactions are made with debit and credit cards, so most companies can ill-afford to demand that their customers pay cash-only. Because of this, a vast majority of businesses, both small and large, have come to heavily rely on payment-card companies to provide a competitive and convenient shopping/purchase experience for their customers. However, in exchange for the merchant services they receive, businesses must pay an interchange fee to the credit card company every time someone pays with that credit card. These fees can add up, and for small businesses, where profit margins are generally already low, the costs incurred can end up overwhelming the profit made on the sale. The three largest payment card companies, Visa, MasterCard, and American Express, comprise the vast majority of the credit card market, so accepting payment cards means having to abide by whatever rules and conditions these three merchants demand. So when credit card merchant fees began to skyrocket in 2004, amidst the United States’ progressively worsening economic situation, businesses were forced to make concessions. A number of companies raised their prices to compensate, and some smaller businesses stopped taking credit card purchases altogether. In 2005, merchants and trade associations waged a class-action legal battle against Visa and MasterCard for overcharging them with high interchange rates on each credit card transaction. Visa and MasterCard continued to charge these rates from 2004-2012, so when the U.S. District Court for the Eastern District of New York negotiated a settlement in 2013, it was determined that Visa and MasterCard would have to pay a sum total of $7.25 billion to any business that had accepted their credit cards from January 2004 through November 2012. This number was reduced by 25% to compensate for the merchants who chose to exclude themselves from the Cash Settlement Class. Included in the class is any individual, business, or other entity that accepted Visa- or MasterCard-branded cards in the United States. If this includes you and your business, a significant refund may be coming your way under the terms of the settlement. The key word, though, is “may,” because the settlement is currently under appeal. 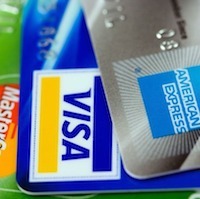 To date, more than 30 lawsuits have been filed against Visa/MasterCard. While some of the cases have been settled, a number of them are still open, including the appeal to the class-action settlement. Appeals processes can take any length of time to complete, but until this one is finalized, the court isn’t accepting claim forms. As your merchant advocate, AdvoCharge is keeping an eye on the progression of the appeal, as well as the lawsuits retail giants have waged against Visa and MasterCard. We will keep you informed as to how they progress. If all goes well, and the appeal is denied, you’ll be able to file a claim and get back any money you’re owed. If you’d like to follow the suit yourself, visit the official webpage for the Payment Card Interchange Fee Settlement.